I use this every single day! Design and interfacing hold up to everyday use. I can not say enough amazing things about this holder. I LOVE it. 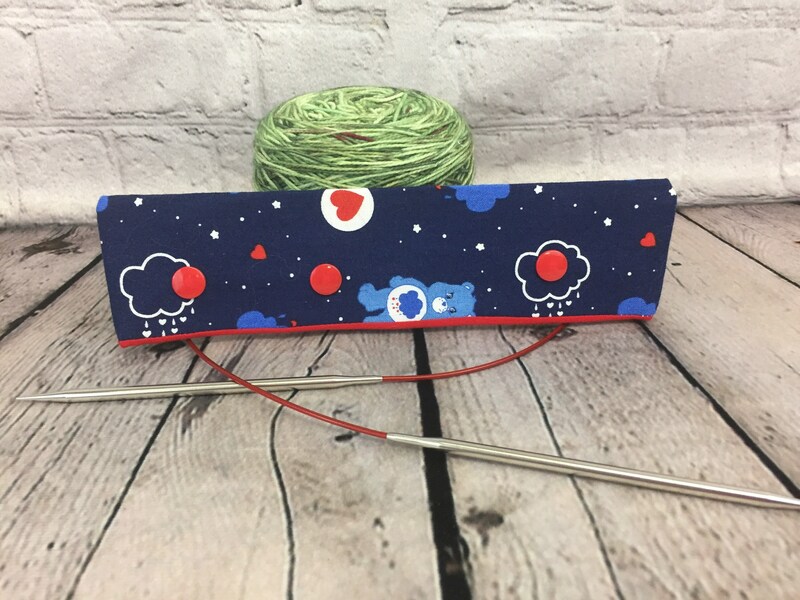 This needle holder holds your spot and keeps your project firmly locked in place when you are putting it aside for later. This holder is amazing for those who knit with circulars or 6-8" DPNs. No more stuffing your needles into the ball of yarn or using needle caps. You can throw your work in your bag without fear of your precious stitches coming off. This size leaves room on the ends to give your needle ends and project room to breathe and still hold your work securely on the needles. This case will fit most circular needles. --For circular needles-Lock the 2 needles in place on the end with the 2 snaps. 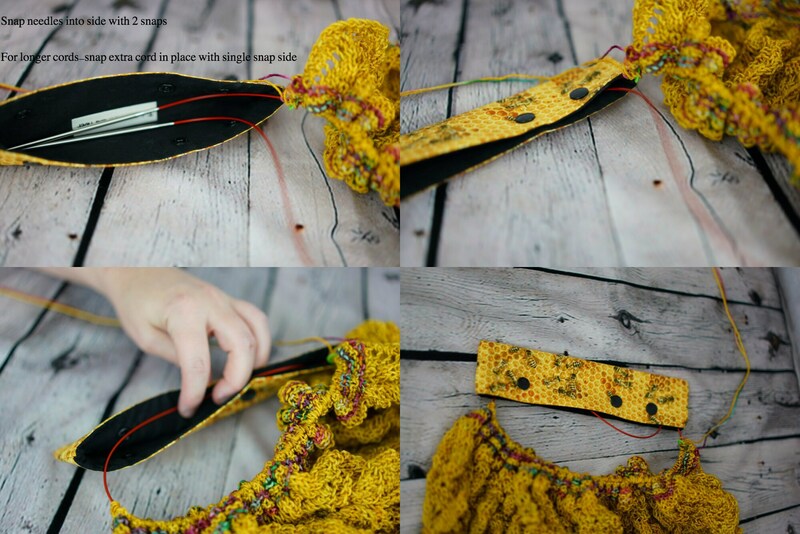 If you are using a long circular cord, Snap the excess wiring into the single snap side for even more support. --Stiff interfacing to hold its shape and keep from stressing your needles and project. Don't see the print you want? Message me and I can make it in another fabric you see on my site.